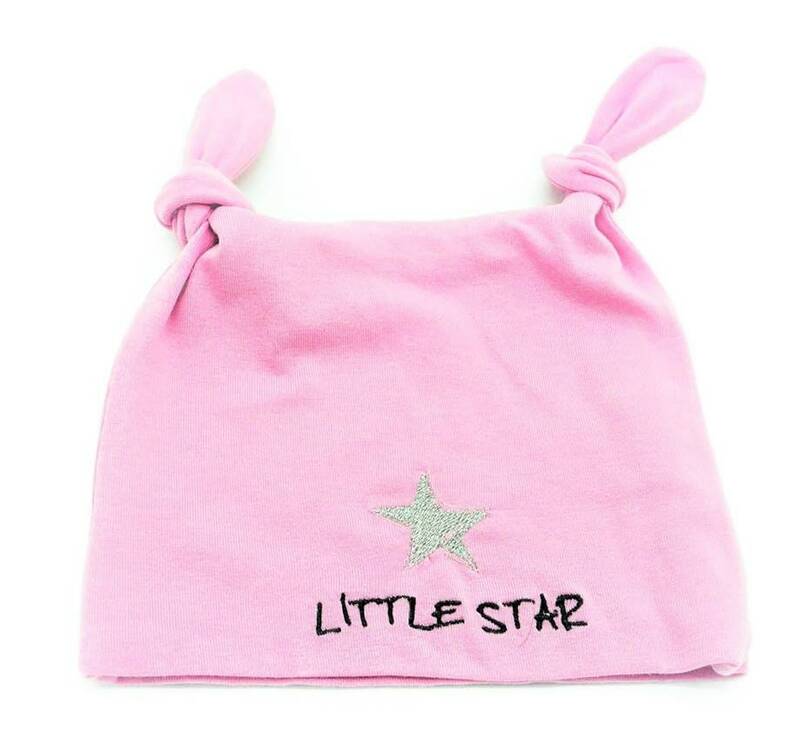 The baby hat, made of elastic pink cotton jersey, is embroidered with a silver starlet as well as the lettering "Little Star." 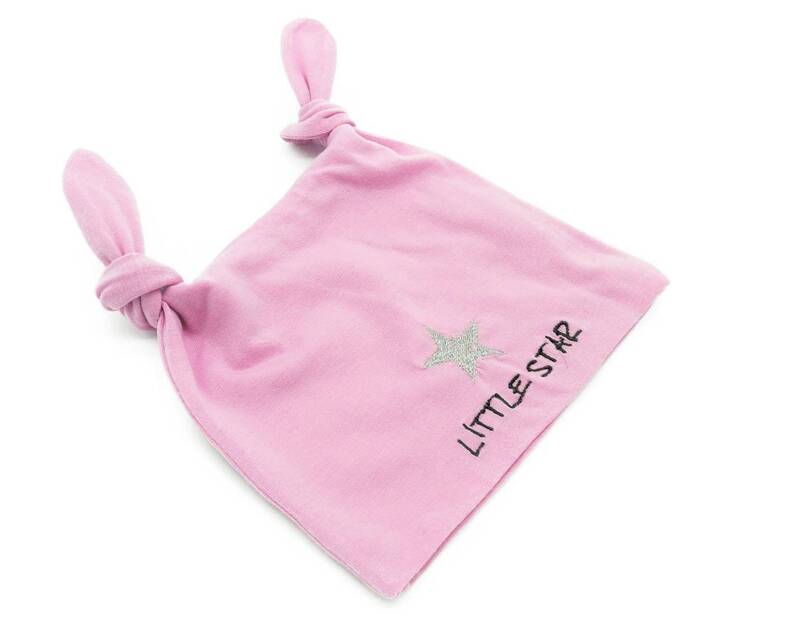 The cap for small stars has a one-size-fits-all size fits and is about 0-6 months. 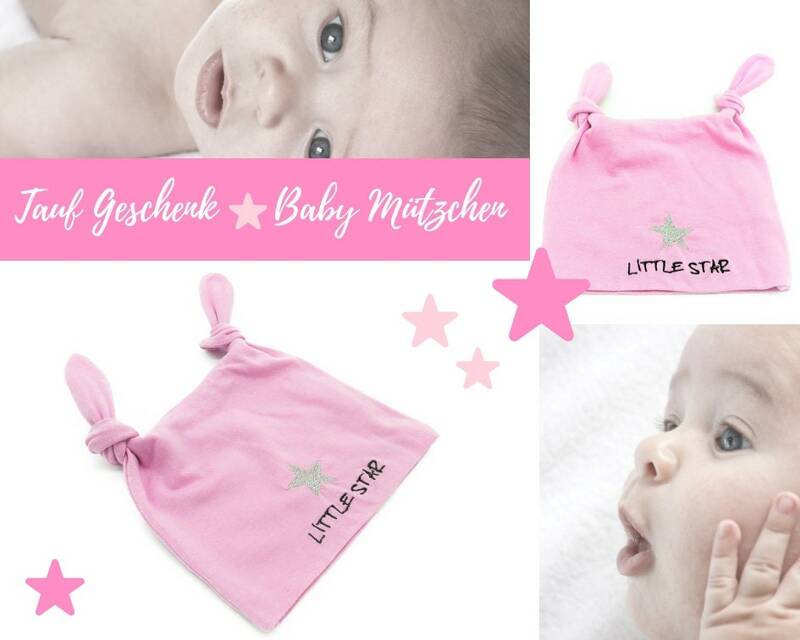 It measures a circumference (measured inside) of 39 cm. Knuffig are the two small knots on top, which seem a bit like eclocks.